A planned student-led walkout on Wednesday is the latest step in the #NeverAgain movement, a nationwide call for action in response to a deadly school shooting. On Feb. 14, 2018 in Parkland, Fla., 17 people were killed at Marjory Stoneman Douglas High School by nineteen-year-old Nikolas Cruz. Cruz made disturbing posts on Instagram and YouTube, posting pictures of guns and writing about his plans to become a school shooter. Despite these clear warning signs, he was able to legally obtain over 10 rifles, one of which he used in the shooting. Parkland was far from the first school shooting; however, it was one of the most lethal, taking a spot in the top 10 deadliest mass shootings in U.S. history. So far, four countries have enacted very strict gun laws that have proven effective; the United States has not. Now, the students of Marjory Stoneman Douglas and many other schools, including Everest Public High School in Redwood City, are protesting in support of stricter gun control. Nationwide walkouts will take place on March 14. Everest students will be participating, along with other local schools, by hosting a 17-minute rally at 10 a.m. The rally, meant to honor the 17 victims of the Parkland shooting, will be followed by a march to City Hall. While most schools are planning a rally, Everest students decided to add a march downtown to emphasize their commitment. “The walkout was organized this way because we thought that 17 minutes of our time would not speak as loud as ditching and making ourselves heard by walking all the way to City Hall to speak about this issue. 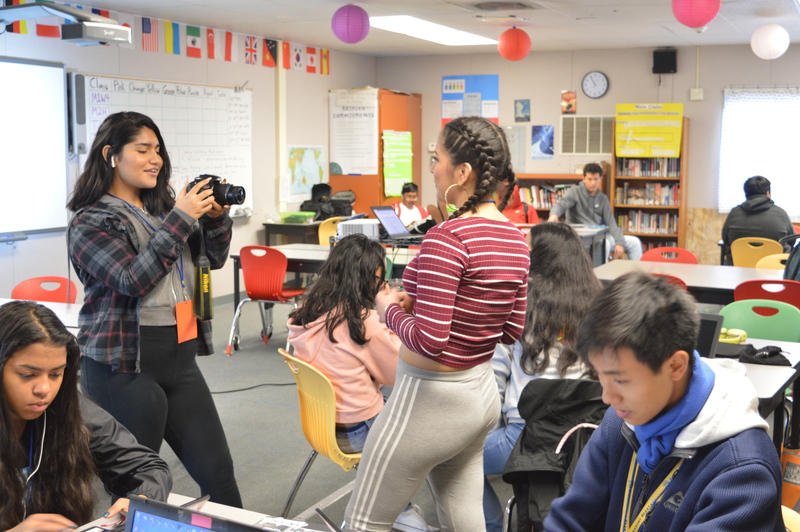 We also thought that by joining together with other schools it would: one, bring more students; two, see that private, charter and public high school really care and are on the same boat of interest,” Everest junior Samantha Suchite explained. You can find more information about the planned protest here. The Women’s March movement is supporting the March 14 protests, keeping track of where student-led walkouts are happening and endorsing them. Following the March 14 protests, students across the nation are planning further action. The March For Our Lives will happen on March 24. The D.C. event will include students who survived the Parkland shooting. There is also a National School Walkout planned for April 20, the anniversary of the Columbine school shooting. 1. How do background checks work? One modern day gun control policy is to have background checks on the buyers. Buyers have to go through a process that includes filling out a form that makes them answer questions about their background and criminal record. The dealer then contacts the National Instant Criminal Background Check System with the buyer’s filled-out form and Social Security number. Private sellers currently are not required to perform background checks on their customers. 2. How extensive are background checks? At least 90 percent of cases are approved in short periods of times (almost immediately). In some cases a buyer might face a longer process because of a number of reasons, such as having a criminal background, incomplete records or legal cases related to mental health. The FBI then has three extra days to do further research. If the seller does not receive a denial or an approval, the seller can then sell the gun to the buyer. 3. What exactly is an assault weapon? Although there are many opinions of what an assault weapon is or what weapons fall into that category, one thing is for sure – they all create serious damage. An example of an automatic weapon is a machine gun, which will continue to fire as long as the trigger is held down and the gun still has ammunition. Examples of semi- automatic weapons are rifles, pistols and shotguns, more specifically AK-47 and AR-15 rifles. The difference between an automatic gun and a semi-automatic gun is that a semi-automatic gun requires that the shooter pull the trigger in order to fire another round. The AR-15, which stands for ArmaLite Rifle, was developed in the 1950s. The gun can cause a tremendous amount of damage to its target while firing up to 45 bullets per round per minute, as stated in its manual. It is able to fire as soon as it feels the smallest touch on its trigger. An AR-15-style gun was used in the Parkland shooting, and some have suggesting banning sales on this type of weapon. 4. How influential are bump stocks? Bump stocks are specially designed to make firing easier, and they are currently legal in the United States. Bump stocks are dangerous because they can make they gun fire faster than it normally would. As the trigger undergoes compression, the front of the gun recoils against the bump stock. This equipment was used in the Las Vegas shooting, and some (including Trump administration officials) have called for banning any further sales. 5. Where can I get more information about gun control policies? The Council on Foreign Relations put together this resource sheet detailing how U.S. gun control policies compare to those of other countries. A German broadcaster put together this list of facts about U.S. gun control policy. Vox compiled this collection of maps and charts to show why the United States has such a unique relationship to gun violence.